You are currently browsing articles tagged GLBT. 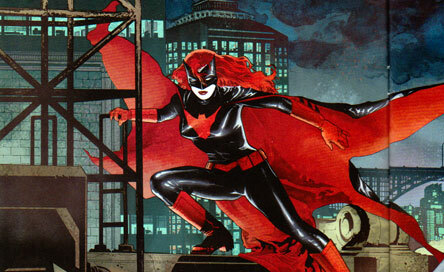 Batwoman Lives!! Probably for real this time! Maybe.. The Batwoman run of Detective was the first mainstream superhero comic I ever subscribed to. I read the first issue and called up Matt (who handles subscriptions) with the issue still in my hand. I had to have it. I’ve been chomping at the bit to do a formal review of it, but I have been waiting for the collection to come out. 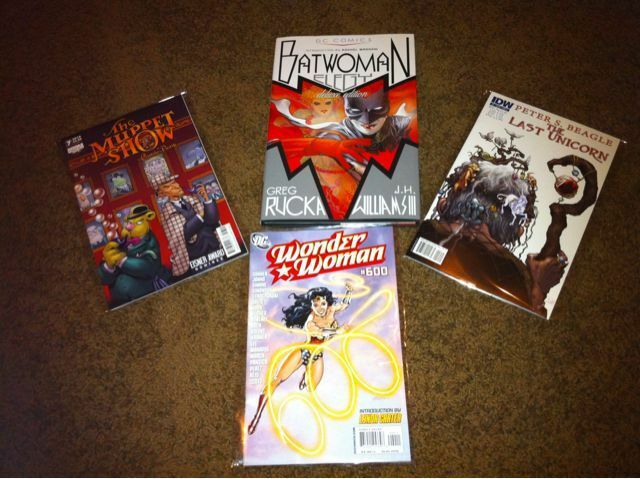 When Greg Rucka announced a couple of weeks ago that he was leaving DC, I was heartbroken. This character has filled a spot in my monthly pulls that will leave a vacuum when she’s gone. I was just starting to get used to the idea that she was going to be out of Detective after Bruce Wayne’s mighty return, but with Rucka gone it seemed like she was just going to vanish into the mists, maybe to be pulled out for a big crossover or to be killed to set up someone’s revenge story. If they do actually get this new series out, it will be an automatic add to my pull list. With Williams doing the art and story, I can’t say no. With Amy Reeder Hadley for the second arc, I will probably sit in my car in the parking lot of The Comic Book Shop on a Wed night to read it. Hope everyone had a Happy Halloween. Candy, Costumes… Comics! Did I mention that Valley Manager Patrick has a Webcomic? And that he did a company portrait in the most recent one? I am so excited. I think this is the first time I have been Comicked. 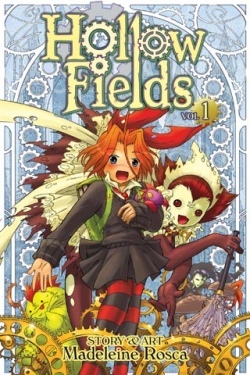 And though I had not really considered Ricki Barnes as a costume, it looks so cool that I might have to do that next year. 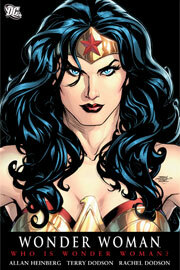 This week, I look at the first collection in the new reboot, Who Is Wonder Woman. This collection tells the story of Wonder Woman, post 52, as she tries to make sense of her place in the world after killing Max Lord in front of the whole world. She gets gets a new job and new secret identity, and she has some huge battles. Allen Heinburg brings his empathy and understanding of female characters to this book, writing well-rounded interesting women. I enjoy this book as a beginning, but I feel that they use too many villains at once, sort of diluting her and making her rogues gallery look sort of wimpy. I do like the bones of the story though, and I absolutely love the art. The Dodsons draw some beautiful, powerful women, and for all the eye candy, it doesn’t feel exploitative. It’s just good. 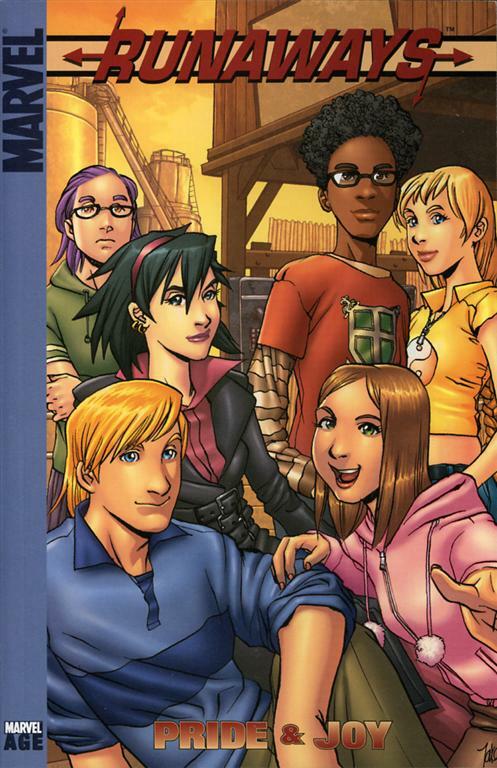 Speaking of good, let’s talk Runaways. I have a couple of series in my store that I can confidently hand to just about anyone. Fables, Walking Dead, Preacher. Solid stories with solid artwork. Great characters, compelling stories. Good Comics. Runaways falls very neatly into that category. I can send one person home with it, and a handful of their friends will come in to pick it up after borrowing the first one. I will say that I am annoyed that you can get the first collection in at least 4 different editions: digest, trade paperback, premier hardcover, and deluxe hardcover. For my new readers, that can be kind of a minefield. At the same time, being able to buy them collected in their original size is nice. I have the digests, but I covet the deluxe hardcovers. Will you look at the time! It’s getting late and Terry Pratchett’s Unseen Academicals is calling me. I can hear it from here, footnotes and all. Subscribe to my podcast to get the full reviews. Or click here to listen to it now. Special welcome to Matt Watson and Sami and Jesse and Swiss. It’s so nice to hear from friends, and know that someone is listening. This is also an exciting week, because this is my first week as an official Itunes Podcast. I know it’s not that huge a deal, there are thousands of free podcasts on Itunes. But if you do a search in the store for Girls Don’t Read Comics, my show comes up. And that makes me happy. This was actually my first experience with the comic book character Thor. 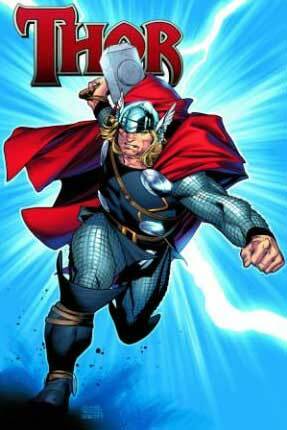 I grew up reading mythology, so the Norse god of thunder is a familiar figure to me. I wasn’t sure what to expect, but what I found was a good looking book, with a cool story and a lead character that I felt I could really understand. I can’t wait to read more, but now I’m behind on the issues. I’ll just have to wait for the next collection. 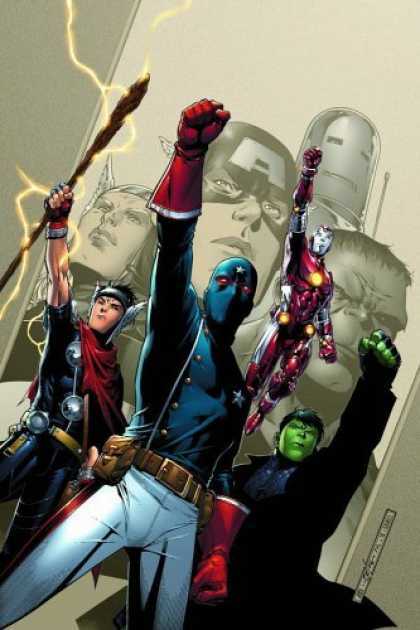 I admit, before Secret Invasion, I hadn’t really spent any time with any of the Avengers titles. I had a customer wax poetic about this one a few weeks back, so I thought I’d give it a go. I really dug it. I liked how they didn’t know what they were doing at first, really. I bought that they were young and inexperienced and it worked for me. I look forward to spending time with these, and now I need to go back and read Avengers Disassembled. Darn. 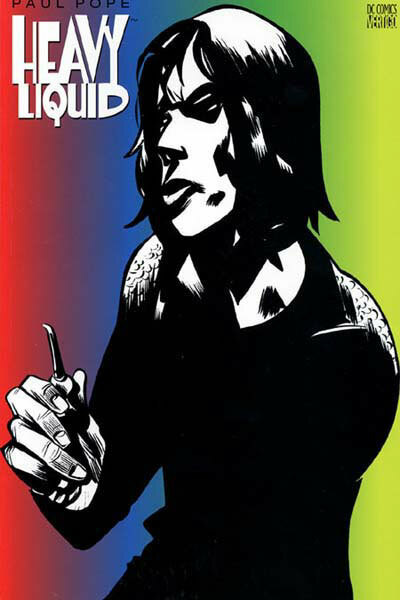 I read this one based on a recommemdation by Matt (not the Matt above), manager at the main Comic Book Shop. I’m really glad he put it in my hand, because I probably would not have read it otherwise. I really don’t care to much for the color, but everything else is so very good. I love a good tale of a dark future, and I love some noir tastyness. This delightfully combines the two with a raw-edged visual style. In the podcast I keep saying it’s intense. It’s intense. I almost feel bad playing favorites, but I had a lot of fun with this book. I actually read the Vol 02 right away, and when I finished it, I was dying to read the Vol 03, but I have to wait for it to ship. This is a great all-ages rated story. It’s probably better for girls than for boys, but you don’t have to be a kid to enjoy it. I got the same sort of kick out of this that I got out of Harry Potter, but in a much smaller dose. I’m going to make it a goal to send it home with someone this week. If you have time, click the picture, and go read the sample at the publisher’s website.